Diosa Costello legendary star of Broadway, films , and nightclubs has passed away peacefully in her sleep surrounded by family and friends at the age of 100. The award winning performer died at her estate in her beloved Miami Beach on June 20, 2013 where she performed for many years breaking all time records at the Lucerne Hotel. Miss Costello was recently honored by the Smithsonian Institution for being the first Latina to star on Broadway and recognized for her unparalleled contribution to show business. Born in Guayama, Puerto Rico with dreams of stardom, she moved to New York City where she became the toast of Broadway and the original "Latin Bombshell" opening many doors for Latinos that have followed. 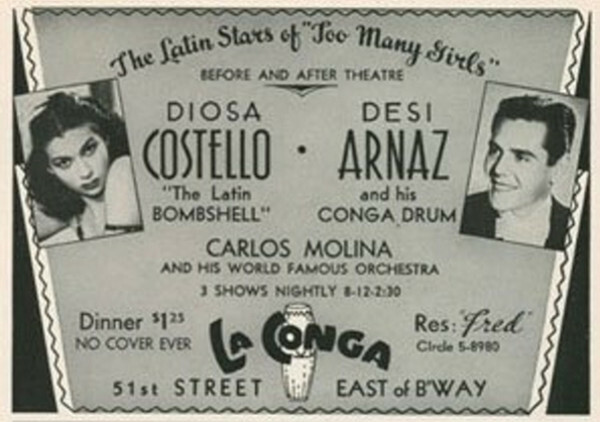 Diosa was a life long intimate friend of Desi Arnaz whom she discovered and was instrumental in getting him his first role on Broadway in "Too Many Girls." Update: Woke up this morning (June 24) to find that the lovely Miss Costello passed away June 20, 2013. She was 100 years old. Here's the article in the Puerto Rican newspaper, El Nuevo Dia. Five months after I had originally posted this, I received an email from Maria Foley, daughter of actress Anna Navarro (she starred in Frank Sinatra's First Deadly Sin and Hitchcock's Topaz!) and great-niece of The Latin Bombshell herself, Diosa Costello. First, a revision to the original post below is in order...Ms. Costello was born in 1913 (not 1917 as is listed in places on the net) meaning in three months, she will celebrate her 100th birthday! Ms. Foley also told a very interesting story about the night "Titi Diosa" was performing a show in New York when Virginia Hill (the infamous girlfriend of the mobster, Bugsy Siegel) walked in. Ms. Costello mentioned to Hill how much she liked her dress, prompting Hill to disrobe then and there and give it to her. Hill watched the show in the audience wrapped only in her mink. Please check out Ms. Foley's website. All of the songs were recorded in one take! Grabbed this album set on my last record hunt...and am so glad I did. The album looked new and so did each record. Doing some quick research on Diosa Costello, I found that she was born in Guayama, Puerto Rico in 1917 1913 and soon moved to a house near El Morro in San Juan where she would dance on the street for pennies. 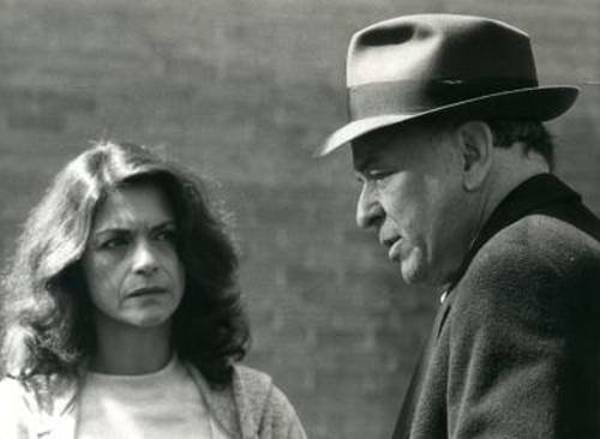 She later moved to New York and eventually became the first Latina actress to appear on Broadway. It was in the 1939 Broadway production where she urged producer (and rhumba fanatic) George Abbott to create a role for an unknown, Desi Arnaz. She appeared in the last Laurel & Hardy Hollywood movie, 1945's The Bullfighters, where she performed The Latin Bombshell dance routine that she was known for. 1950, she was persuaded to play the part of Bloody Mary in a stage production of South Pacific eventually replacing Juanita Hall in the Broadway production. In a 2011 interview for Smithsonian, she was asked who she would want to portray her in a movie. She answered, "I would want JLo to play me. She’s a Puerto Rican from the Bronx. I lived in the Bronx for a long time (in a Jewish, not Latina neighborhood). She married a skinny musician, I was married to Pupi Campo, who was a skinny musician. She’s got the tuchis; I have the tuchis—although mine is the original, the cutest." Well...she could arch her back and dance all over the place with a glass of water sitting on her "tuchis" and not spill a drop. Decca Album 147 recorded in 1940. Audio links have been updated. These are marvelous; thank you.